G3i is the ultimate performance aircraft ignition up grade. It is the first add on interfaced-based electronic ignition control system. The G3i interfaces with most Slick & Bendix aircraft magnetos. G3i provides redundant magneto-based ignition as a backup in case of electrical power outages or electronic ignition failure. The G3i interfaces aircraft magnetos with Electronic Multiple Spark Ignition. In turn compliments the synchronized firing event in all naturally aspirated and supercharged Lycoming & Continental engines. G3i ignition uses multiple sparking technology, which last for 20° of the crankshaft rotation. The G3i module switches the magnetos from their typical normal state to a versatile electronic Multiple Spark (MS) ignition. This works in a way that when the G3i is on active it receives a primary signal from one of the existing magneto contact points or a magnetic crankshaft trigger, depending on the application. The most common set up is that the left magneto will become the timing signal for both magnetos when the system is active. Then the signal is then sent from the G3i module to the electronic ignition amplifier. The (MS) ignition receives this information, processes it and sends spark energy back through the G3i module to excite the left and right magnetos in perfect firing synchronization. Consequently the magnetos have all the benefits of an electronically controlled multiple spark discharge system. When the G3i module is turned off or looses its 12-volt power, the G3i switches to default (no required power) and the magnetos revert back to their normal, original configuration. 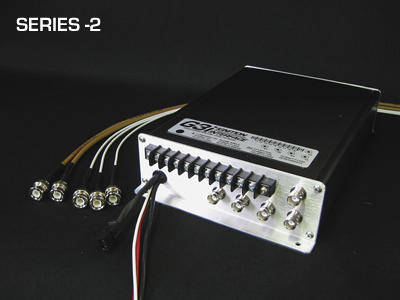 The G3i Series- SC-E module combines the 1 magneto, and 1 E/PMAG ignition system with all the benefits of a dual synchronized, variable timing electronic controlled ignition system with still retaining 1 magneto for back up. When the G3i SC-E module is activated, it receives the signals from the existing E/PMAG primary side of the ignition. The E/PMAG timing signal is picked up by the G3i SC-E module and tracks this information, processes it and sends primary spark energy to excite the left magneto coil to fire in perfect synchronization with the E/PMAG’s variable timing advance curve. 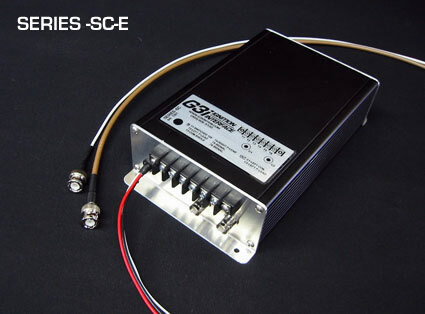 When the G3i SC-E system is turned off or looses its 12-volt power, the G3i SC-E module switches to default (no required power) and disconnects internally from the E/ PMAG’s primary signals and reverts the magneto back to its normal, original configuration. In case of G3i SC-E EI failure, the G3i SC-E system is turned off to revert back to magneto mode. In case of an electronic failure and no out put from the E/PMAG. The G3i SC-E will run the left magneto in electronic mode (multiple spark) or normal magneto mode at the fixed magneto timing event. There are various starting modes, The G3i SC-E can serve as the primary ignition or the slave ignition during start up, by using the lag timing signal from the magneto points or the retarded start signal from the E/PMAG, thus taking advantage of a dual sync. firing with the G3i SC-E Amplified Multiple Spark during cranking. 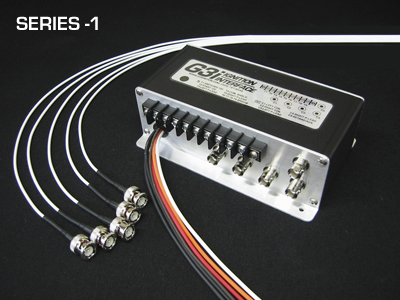 The G3i interface is available in a complete kit with easy to follow instructions. The G3i gives you all of these benefits and with only a very minimal magneto modification to upgrade your existing magnetos. Magneto modifications, ignition parts and service are all available though G3ignition if needed.